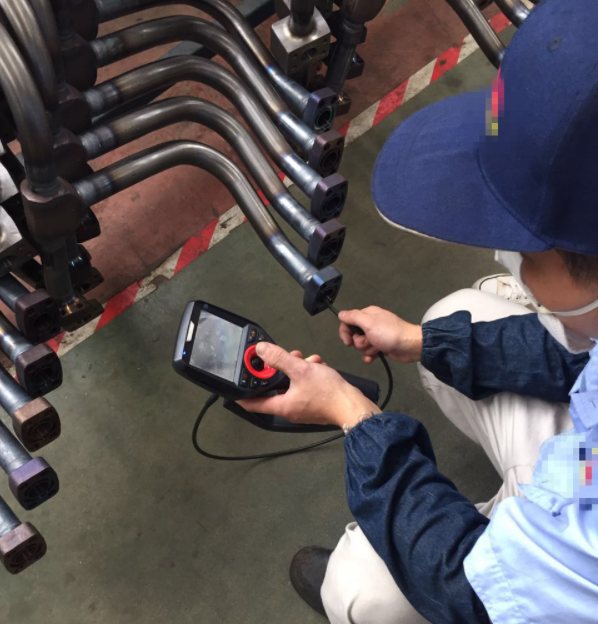 The working condition is bad, and there will be conditions that the oil stay in the pipe or the paint stay outside the pipe.The temperature of welded tubing is very high, and it needs to be detected by industrial endoscope.Industrial endoscope is mainly used for detection of internal weld of hydraulic tubing. Solution：M3-6015 can be used to solve customer needs. The coantec M3-6015 has large field of view,clear detection image and high temperature resistance.It can be used in harsh detection environment. coantec hydraulic tubing endoscope probe is 360° all-way articulation,which can check every collar in the pipeline.It is widely used to inspect the cracks,corrosion,weld, blockage and internal abnormity in the pipeline. 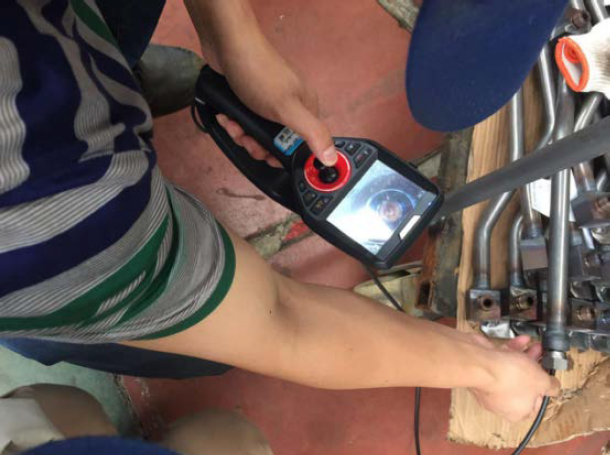 It can observe different perspectives inside the pipeline by joystick.Through the back-end imaging system for real-time observation of the image,the camera can take photograph,video and playback,which is the most ideal testing equipment for hydraulic tubing inspection.